Being that Easter just passed us by, I figured what better time than to discuss moving your children into a healthier lifestyle when it comes to eating. Now for anyone who knows me personally you know I come from a family of Dentists, however you wouldn't know it if you saw the amount of sweets my oldest son Dane consumes. When YumEarth first contacted me last month and asked me to complete a review for them I knew I was in! A very good friend of mine has worked with them several times throughout this past year on reviews. She has raved about the company as a whole not to mention their products! This being said, I wanted in on such a "cool brand"! 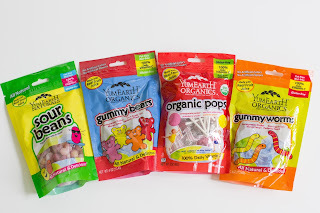 This time around Yum Earth Organics sent me over a bag of their Organic Gummy Bears and their Organic Gummy Worms! The boys were super happy as they are big fans of gummy worms and these keep me so much more confident in what I am feeding my kids. They think they are getting a treat but Mom knows they are a much healthier snack than any of the other candy they would normally be eating. They even list 100% of their ingredients right on the website so there is no guessing what your children are snacking on! The products featured are now available at over 7,000 Walgreens. 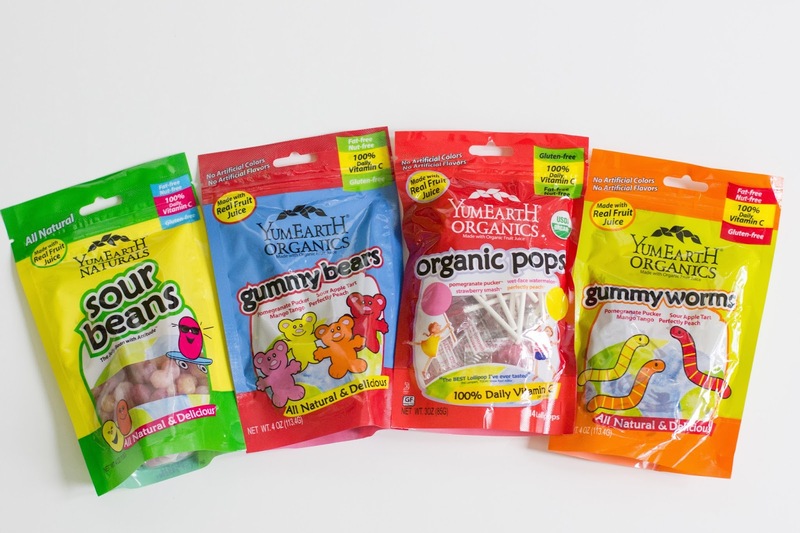 Giveaway: Yum Earth is going to give one of A Lucky Ladybug's lucky readers 2 bags of Gummy Bears to try of their own!